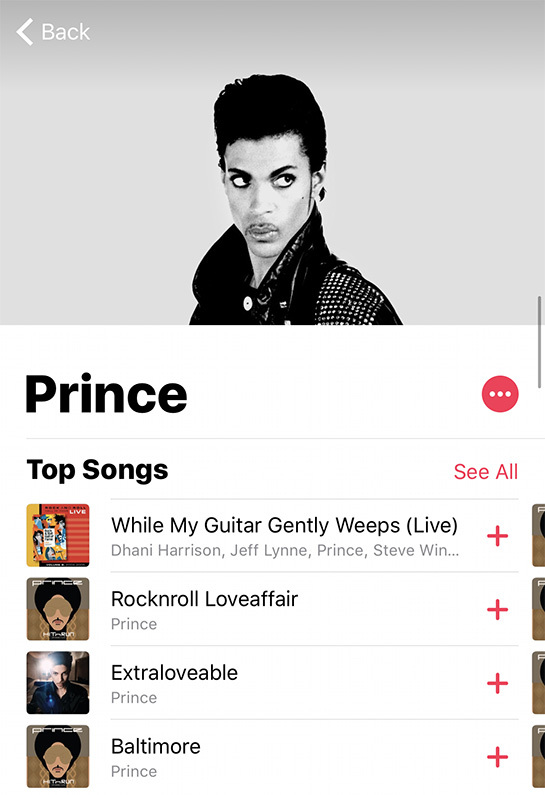 To coincide with the 59th Annual Grammy Awards ceremony on Sunday, Warner Bros. Records today announced that Prince's well-known hits are now available on streaming music services such as Apple Music, Spotify, Google Play Music, Pandora, and iHeartRadio Plus and All Access, after a nearly two year exclusivity period with Tidal. Prince, who passed away in April 2016, had pulled his music from all streaming music services but Tidal in July 2015. Since his death, Prince's estate worked on deals with various services to make his music available for streaming again. As expected, the songs and albums became available today. Update: A spokesperson for Deezer informed us that it will be actively adding Prince's songs to its playlists over the coming days. Glad found, "While My Guitar Gently Weeps" run top 1 on the list, should be classic and great song of Prince. I can't help feel that if Prince didn't want this, then his wishes should be respected after his death. Must be a sign o' the times. Most Beautiful Girl In the World still excluded. He would have hated this. But then he was also a David Icke-esque conspiracy theorist and a Jehovah's Witness so he wasn't right about everything. Brilliant to finally be able to stream all his music.